It was game one for me— a match-up with Berry College at home in Young Harris College’s Valley of Doom. On that Saturday I would get my first glimpse into what college basketball was all about. The day started with a shoot around that morning, in which the team would get loose by doing some drills in preparation for the game they would play later that evening. I had participated in practices such as these in high school, so all of this felt fairly normal. It was interesting, though, to see how college teams prepared for a game that was set to be played a few hours later; but it was the game that I was anticipating most. In just a few hours, I found myself making my way back through the halls and into the locker room to get ready for our game. This was a part that was new. How do college teams prepare for a game? What goes on in the locker room? How does a coach explain the game plan? While some of those answers are kept strictly between college coaches and their players, I can tell you that it is all about focus. 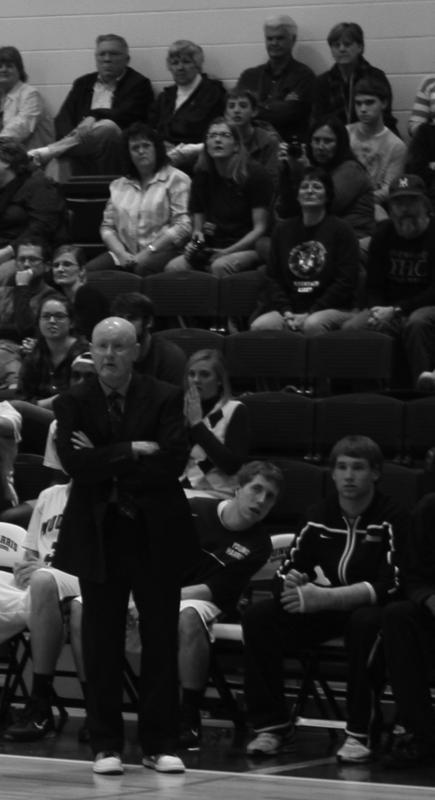 Coach Pete Herrmann wants one thing from every player that steps on the floor for him and his team, and that is focus. It is for this reason that he and his coaching staff work to be sure that each player knows his responsibility prior to game time and throughout the contest. After each of our roles were explained and the game plan had been administered, we made our way to the court for pre-game warm ups. The team went through some shooting drills and stretches to prepare for the game. Then when the buzzer sounded it was time to play the national anthem, announce the starting line-ups and get the game underway. That game was an experience that I will not forget. I was a part of college basketball for the first time, and I saw the work that was put in by the coaching staff and each of my teammates. The never-quit attitude that I saw from every player on that court let me know just how competitive the game is at the college level. We lost the game against Berry by a score of 83-70, but Coach Herrmann never told us to carry ourselves like we had lost the game. He made it a point that we carry ourselves the same whether we win or lose and to always hold our heads up. It was advice such as this that the team would take in as we went through a stretch of losses on the road until we returned home on Jan. 29 to face Tennessee Temple University. We would win over Tennessee Temple thanks to five Mountain Lions scoring in the double digits. Steve Viterbo led the team in scoring with 22. It was the defense, though, that Coach Herrmann praised the team most for in this winning effort. After the game, Coach Herrmann was pleased with our team defense, and he was excited about the win at home. The team, however, was almost too exhausted to celebrate the victory. The team was working hard and had finally reached the victory that they had been fighting for late in the season. This was a time for a stopping point, though. The season was far from over, and there were still games for us to play. How would the team take this momentum into the final games of the season? Keep reading to find out. For most college students, Christmas break is a month-long vacation from school that features sleeping, partying and enjoying family and friends. However, for the basketball players and cheerleaders, Christmas break meant more time to focus on drills, practice and competitions. Over the break, the men’s and women’s team played nine home games, with the cheerleaders on the sidelines for most of them. The Valley of Doom was about half-full for most games, with attendance averaging around 500 people per game during the break; but the missing half was the student body. Their absence was noted by the players. Coaches also noticed the lack of noise, especially from the YHC pep band Purple Rain. Brenda Paul, head women’s coach, commented that she and her squad missed pep music during warm-ups and games. “They are the best in the land,” Paul said. Other people noticed the absence of colorful fans, such as sophomore Zach Carlisle. Carlisle is known for his Australian flag shorts, flag and hat supporting the “Aussies” that play for Young Harris, including Steve Viterbo, Matt Preston and Breanna Gleeson. “It’s awesome. He really gets into it,” said Preston. The support that was present came from the community and faculty. The crowds were fairly large yet the noise and cheering was minimal. The cheerleaders spoke on the lack of participation they had from the crowd. The crowd seemed lifeless despite several very thrilling games. “It was like pulling teeth at times to get them to stand and cheer with the cheerleaders. The only hope for the team as far as getting pumped and spirited was from the cheerleaders,” stated Marissa Thomas, a cheerleader from Brunswick. One of the few students to attend all of the games over the break was Nicole Conrad. Students Marianne Smith and Nathan Hughes also attended a few competitions. “Energy was definitely the biggest difference. Having a student section cheering on and supporting our teams makes a big impact. The atmosphere of the gym over break was completely different than if the gym was filled with our student body. It felt pretty empty,” said Conrad. The first two games after the break with the students back ended in victory for the women’s team. The basketball teams and cheerleaders hope to never experience such a lack of Mountain Lions fans roaring in the Valley of Doom again in this season and the future seasons to come. It has been an interesting season for the Young Harris College women’s basketball team in its inaugural season. The Mountain Lions began the season with four straight losses. However, Young Harris picked up its first victory at Southern Wesleyan on Dec. 1 in a 79-60 victory. The Mountain Lions followed that victory with four straight losses. As the scheduled moved into the 2011 portion of the season, Young Harris added another veteran coach – Jim Davis – to its staff and the moved paid dividends as the Mountain Lions reeled off wins over Berry, North Greenville, Reinhardt and Hiwassee. Young Harris saw its four-game winning streak snapped on Saturday, Jan. 22 at King College. LaDondra Johnson, a native of Athens, Ga., leads the offense with 14.0 points and has also pulled down 6.1 rebounds. Nikki Winn, a former Towns County High School standout, is second on the team in scoring with 12.9 points and Lauren Smith, a native of Colbert, Ga., is third with 10.8 points. Young Harris, which has games remaining against Truett McConnell, Tennessee Temple, North Greenville, Tennessee Wesleyan, Hiwassee, King and Brenau, is averaging 60.3 points, 30.0 rebounds, 12.8 assists, 10.7 steals and 1.4 blocks. On Monday, the Young Harris College women’s basketball team fell 64-39 to North Georgia College & State University in the program’s first game in over 40 years. North Georgia (2-1) started their run early as they shot out to a 14-5 lead after a made free throw by Janyce Ealey with 12:10 remaining in the first half. Over the next seven minutes, North Georgia went on a 17-4 run to take a 31-9 lead. Young Harris (0-1) made a rally capped off by a jumper by sophomore Nikki Winn in the final minutes of the first half to cut the Lady Saints’ lead to 31-16. In the last minute of the half, however, Lady Saints guard Meredith Montgomery knocked down a jump shot to give North Georgia a 33-16 lead at the half. The Mountain Lions cut the North Georgia lead to 33-19 with 19:29 remaining after a made 3-pointer by freshman Breanna Gleeson, but the Lady Saints put the game away with a 21-8 run over the next 11 minutes to take a 54-27 lead. Ealey was 7-of-9 from the floor and also finished with seven rebounds. Sarah Stinson and Tiffany Marlow each had eight points as North Georgia was 24-of-53 from the field for 45 percent. Winn led Young Harris with 15 points on 6-of-15 shooting. Freshman Miata Askew had 10 points as the Mountain Lions were 16-of-49 from the field for 33 percent. YHC women’s basketball Head Coach Brenda Paul knew that her team was out-matched in their season opener, but was pleased with stints of the team’s offense and with the support of the fans. For more coverage of the women’s game, check out the print edition of the Enotah Echoes on Mon., Nov. 22. On Monday, the Young Harris College men’s basketball team made history by winning their first game in over 40 years. The Mountain Lions returned home to receive much support from a sold out YHC Recreation Center packed with screaming fans. YHC faced off against Peach Belt Conference member North Georgia College & State University in their home opener, and were able to shock the Saints with a 78-68 victory. Young Harris (1-1) began the game with a 7-2 run that was capped off by a fast break lay-up by freshman Matt Preston with 16:52 remaining in the first half. North Georgia (0-1) ; however, would rally back to regain an 8-7 lead off of a jump shot by George Jgerenaia with 14:13 remaining. After the jumper by Jgerenaia, YHC began their rally back to the lead by creating a 13-2 run over the next four minutes of the game to go ahead 20-10 thanks to a made basket by freshman Steven Viterbo with 9:59 remaining in the half. With 6:35 remaining in the first half, freshman Luke Brackman entered the game for the Mountain Lions and was successful on his first three point attempt which extended the YHC lead to 25-13. Following the made basket, North Georgia made a run to cut the lead to 27-20 that was capped off by a tip-in from Keldrick Coleman with 2:44 left in the half. The last two minutes of the first half would go in favor of the Mountain Lions as they made an 8-0 run to give them a 35-30 lead going into halftime. To begin the second half, the Mountain Lions extended their lead to 41-25 thanks to a put-back by freshman Frank Adams with 17:28 left to play in the game. The Saints rallied back; however, by going on a 13-2 run that was capped off by Clarence Tillman to cut the Mountain Lions’ lead to 43-38. Young Harris responded to with an 11-2 run that was capped off by a made 3-pointer by Viterbo. 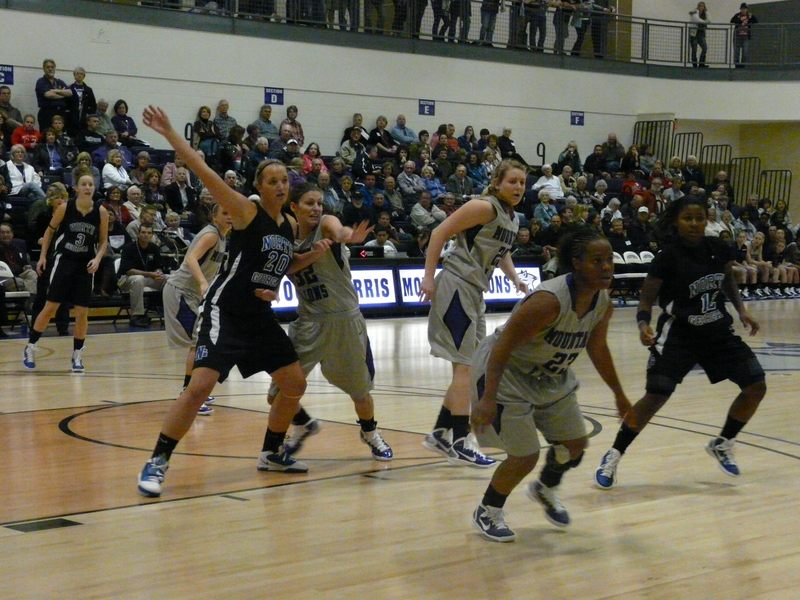 The Saints would cut the lead to 61-55 over the minutes that followed, but were not able to make the game any closer. With 2:27 remaining in the game, the Mountain Lions held 69-59 lead and were able to put the game out of reach in the final minutes of the game thanks to a made free throw by Viterbo and a stolen inbounds pass by freshman O’Neil Lubin to give YHC a 72-59 lead with two minutes remaining. Lubin led the Mountain Lions in scoring with a career-high 26 points on 9-of-14 shooting. Viterbo had 17 points and seven rebounds, while Frank Adams recorded 13 points and eight boards. Bryson Robertson chipped in with 10 points and a team-high nine rebounds as the Mountain Lions were 28-of-54 shooting for 52 percent. Jgerenaia and Carl Taylor led North Georgia with 15 points, while Elijah Smith recorded a double-double, 14 points and 10 rebounds. The Saints were 27-of-65 from the field for 42 percent. 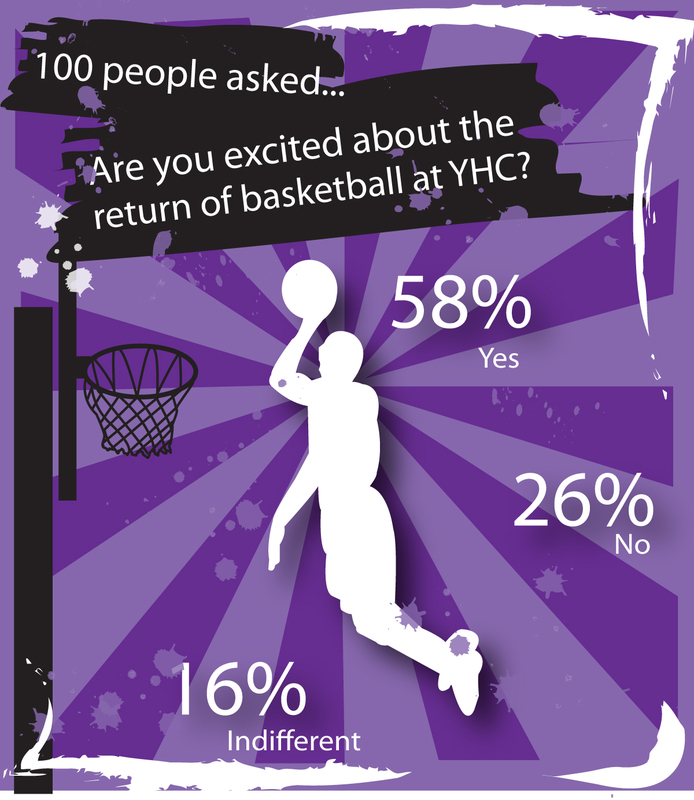 The coaching staff of YHC was pleased with the performance that the team delivered throughout the team’s home opener. “It was the best experience I have ever been a part of playing or coaching,” said YHC Assistant Coach Heath Hooper. “I am truly proud to be a part of this program and Young Harris College. 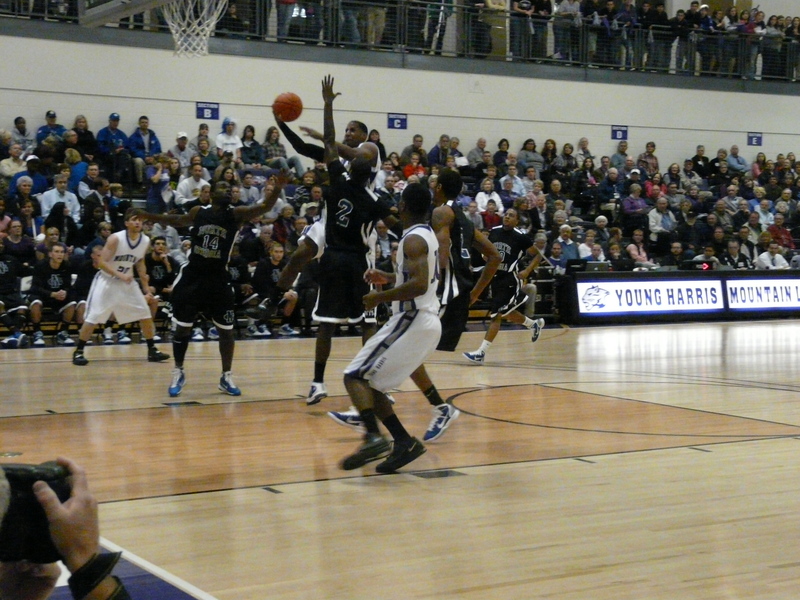 YHC returns to action 7:30 p.m., Monday, Nov. 29 against Tennessee Wesleyan at the YHC Basketball Arena. For more coverage of this game, check out the print edition of the Enotah Echoes on Mon., Nov. 22. CHARLOTTE, N.C.—On Saturday, the Young Harris College men’s basketball team fell to Virginia Intermont College 73-71 in their first game of the season. The season opener for YHC was held in the Time Warner Cable Arena, home of the National Basketball Association’s Charlotte Bobcats. At the half, the Mountain Lions (0-1) trailed 41-26 to the Cobras of Virginia Intermont (1-4). This lead would not last long; however, YHC was able to come out of the half with an 18-0 run in the first six minutes of the second half to gain a 44-41 lead. With 9:34 remaining in the game, YHC extended their lead to 56-45 off of a lay-up by freshman Bryson Robertson, which would be the team’s largest of the game. Virginia Intermont would later use a 14-5 run to cut the Mountain Lions’ lead to 61-59. The Cobras went on to get their second lead of the game off of a lay-up by Marquette Knight which resulted in 64-63 advantage. With 2:09 left, Virginia Intermont extended their lead to 70-66 thanks to a bucket by Knight. The Mountain Lions; however, would use a rally late in the game to tie the score at 71-71 with the help of a lay-up by freshman Matt Preston with 11 seconds remaining. In the final seconds of the game, YHC freshman Phillip Uys blocked an attempt by Virginia Intermont out of bounds, which set up the following possession that would won the game for the Cobras. With four-tenths of a second remaining in the game, Marquette Knight tipped in a missed shot to lift the Cobras over the Mountain Lions for a 73-71 Virginia Intermont victory. This was the first win of the season for Virginia Intermont College. Freshman O’Neil Lubin led the Mountain Lions in scoring with 20 points. Robertson had 12 points and 7 rebounds, while freshman Steve Viterbo finished the game with a double-double, 11 points and 11 rebounds. 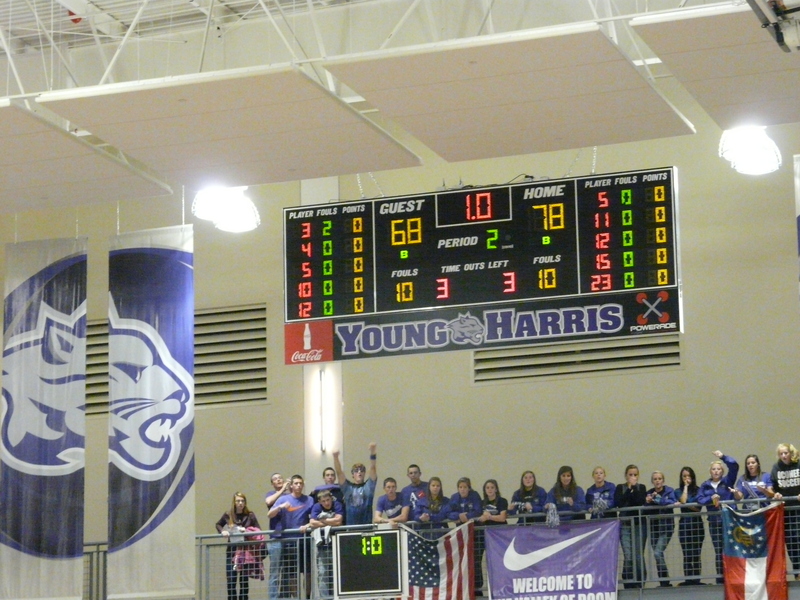 YHC shot 27-of-68 from the floor for a team shooting percentage of 40 percent. Young Harris returns to action with its home opener 7:30 p.m., Monday, Nov. 15 at the YHC Basketball Arena against Peach Belt Conference member North Georgia College & State University.